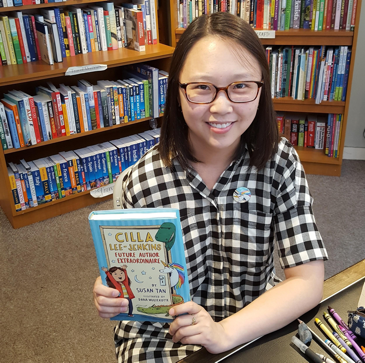 When Independent Bookstore Day kicked off on the last Saturday of April, the shop owners were hoping to ring in large crowds. Independent Bookstore Day is a yearly event in which indie bookstores around the country are encouraged to celebrate authors, illustrators and publishers in their own ways. 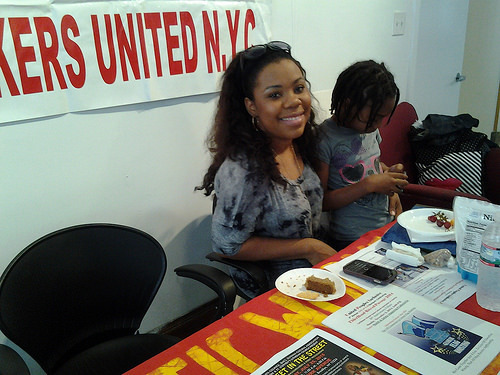 Greenlight Bookstore, located at 686 Fulton St. in Fort Greene, had events slated for the day to celebrate local talent. In 2007, Rebecca Fitting and Jessica Bagnulo, both veterans of the publishing industry, had the idea to open a bookstore. Coincidentally, at the same time, the Fort Greene Association ran a survey that asked residents what they would want to see the most in their neighborhood. Their number one answer: a bookstore. The one-day celebration offered an immediate boost. “We would make about 20 percent more than an average Saturday,” Fitting said. For the last decade, independent bookstores appeared to have been in a slow decline. Battling major online retailers like Amazon. The market shrank significantly for them. Indie sellers struggled with creating their social media footprint and the prevalence of e-books. This, along with the 2008 recession, has slashed into their profits. Bookstore sales were $17 billion as recently as 2007 and were at $11 billion in 2015, according to U.S. Census Bureau data. There is no marked improvement this year so far. Sales are estimated to be around $1.4 billion in January, $690 million in February, and $725 million in March this year, a number that has been stagnant since 2013, says another study done by the U.S. Census Bureau. However, residents have high hopes to turn this trend around, not wanting to see their beloved indie bookstores disappear. Thanks to the downsizing of larger book chains like Barnes & Noble, and emphasis on locally sourced products in cities, there is revitalized interest in indie bookstores. In 2016, according to the American Booksellers Association, 87 new bookstores opened in the U.S., translating into a 42.6 percent increase from 2015 — defying the lukewarm sales. Communities have come to love indie bookstore not just for their novelty, but for their contributions back to a community. Local bookstores donate and contribute to local charities and events, and also host their own events for the community. At the Greenlight Bookstore event, a photo booth off to the side let customers talk and take photos with featured local authors. Near the register, shirts and totes with the shop’s name on it were offered for a price to anyone checking out. At the back of the store, a table was set up for children’s activities. The yellow finish of the wood floors was scratched and worn to a dull gray in between the narrow aisles of filled bookshelves that reach to the ceiling. Customers placed their umbrellas in a small bucket next to the door, knowing that the would still be there when they return. Parents left their baby strollers by the entrance unattended to browse while their children ran off to a booth set up for arts and crafts. In Queens, Astoria Bookshop had set up its own plans for the evening. Tucked underneath the overhead train tracks, Astoria Bookshop is a small bookstore located at 31-29 31st St. Launched almost four years ago, Astoria Bookshop has been doing Independent Bookstore Day for the last three years. This year, the staff set up its own service called “Book Prescription Booth,” a staff recommendation based on a customer’s preference, with a 10 percent discount tacked on. The store also invited a local illustrator to come in to run a drawing table for kids. In partnership with another bookstore, customers can bring their receipt to Housing Works, a Manhattan-based charity that provides services to people affected by HIV/AIDS, for an additional 10 percent at Astoria Bookshop or a free drink at Housing Works’ line of stores. 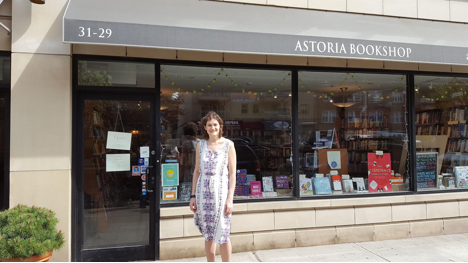 Described by the store’s events manager, Kisky Holwerda, as “Astoria’s only general interest bookstore,” the Astoria Bookshop is one of the last vestiges of an industry that has disappeared recently in Queens. Just last year, Barnes & Noble closed both of its stores in Queens , leaving residents fewer options. Animator and Illustrator Dana Wulfekotte. Astoria Bookshop’s owner, Lexi Beach, a publishing veteran, hurried around the store assisting customers and manning the register. This event in particular can expect a big turnout for the store. “I would not be surprised if we did twice as good as we do on a typical Saturday,” Beach said. 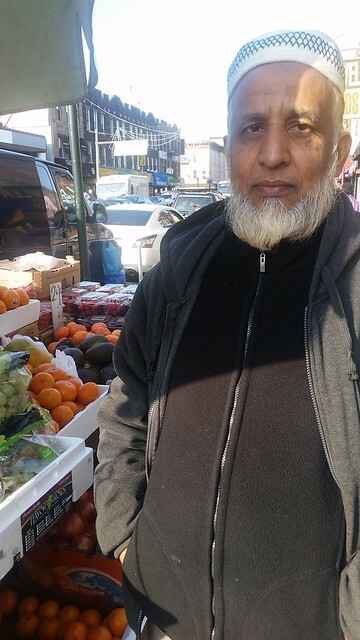 Jackson Heights resident Bill Bruno, a regular customer, is very supportive of the store. “Independent bookstores are responsive to local needs and trends,” he said. “I think they’re an important business, with one role among many,” said Astoria resident Amanda Writh, yelling as the N train came thundering through. 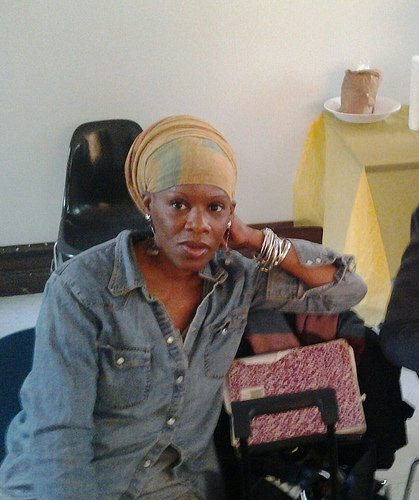 Photo, top: Rebecca Fitting, co-owner of Greenlight Bookstore in Fort Greene. Ludwig is a 42-year-old former public school teacher from New Hampshire and father of three who spent many years teaching English in both middle school and high school before moving on to writing. Last year, he signed a book deal with Park Row Books to publish his upcoming young adult novel. Ludwig’s daughter, who is now 17 years old, was not the basis for his novel, he said, but caring for her exposed Ludwig to the lives of other autistic children. He crafted his protagonist and story around his experiences in meeting and talking to parents who also have special needs children. His publisher, Park Row Books, is a new imprint of Harlequin Books that will specialize in literary fiction. It marks the continued expansion of a New York-based company long known for its romance novels. The Park Row imprint is named after the lower Manhattan street nicknamed “Newspaper Row” because of a hub of newspaper offices there in the beginning of the 20th century. Aside from “Ginny Moon,” Park Row Books plans to release titles of two unannounced books by New York Times bestselling authors Mary Kubica and Heather Gudenkauf. For a first-time novelist like Ludwig, it’s a coup to be a major part of such a launch. 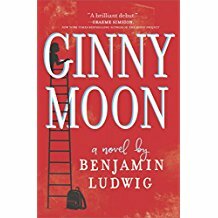 While not his first published work, “Ginny Moon” will be his debut novel, which he said does not pressure him. Ludwig said he was surprised that his book would launch the new imprint, but said the challenge didn’t worry him. He said he felt he had a “good handle” on the publishing industry after dealing with Park Row Books and with the release of his novella “Sourdough,” by Texas Review Press in 2014. Before that, he published in education journals and small literary magazines. The book got off to a good start with Publishers Weekly and Booklist giving it starred reviews. “Ludwig’s excellent debut is both a unique coming-of-age tale and a powerful affirmation of the fragility and strength of families,” Publishers Weekly said. Ludwig’s advises a would-be author to find an agent, whom you have to pitch your idea to, with some samples and a summary. If the agent likes your idea, you’ll be offered a contract, he said. From there, the agent will take the book and submit it to the publishers. “Ginny Moon” is set to release on May 2. Nassau Coliseum is set to reopen its doors on April 5 with a performance by Long Island native Billie Joel after a renovation that has been in the works since November 2015. Joel, who performed at the final event at the old coliseum in August 2015, will be followed during the opening week by artists ranging from Stevie Nicks to Marc Anthony. The arena will host the final show of the fabled Ringling Bros. and Barnum & Bailey circus on May 21. That is the $89 million question–the amount it cost taxpayers to renovate the Nassau Veterans Memorial Coliseum. At the same time, fans no longer have the New York Islanders hockey team to cheer for—they’ve played in Barclays Center since 2015. They are left with the Long Island Nets, the Brooklyn Nets’ development team that plays in the recently re-branded G-League (the “G” coming from the league’s new sponsor, Gatorade). The Long Island Nets have been playing home games at Barclays Center so far this season and the attendance has been underwhelming. to say the least. The team’s home opener game saw just 1,298 fans, while its Nov. 27 contest against the Grand Rapids Drive saw the most fans ever in attendance–1,377. The new Nassau Coliseum will hold approximately 13,000 people, raising the prospect of an empty arena. Still, team officials say they believe the Coliseum will draw fans for the Long Island Nets. “Once word of mouth gets around about how affordable and family friendly Long Island Nets games are people will be filling up the stands,” said Mandy Gutmann, senior director at Brooklyn Sports & Entertainment, which controls the two teams and markets Barclays Center and the Coliseum. Having the inaugural season for the Long Island Nets in Brooklyn may have been a questionable move, but team Vice President Alton Byrd sounded a little more optimistic. “While we are moving to Long Island, we are delighted to have developed our fan base in Brooklyn and we are grateful to have had the opportunity to play at Barclays Center,” said Byrd. A general admission ticket to the Long Island Nets games at Barclays Center costs just $15, but even so, the “fan base” appears to be a small one. Long Island and Queens fans can reach Barclays Center via the he Long Island Rail Road, but the LIRR does not have a stop in Uniondale, where the Coliseum is located. Plans for one were canceled. That did not stop customers from going to the Coliseum before, generally by car. While the Long Island Nets seem unlikely to draw large crowds, the arena should be able to draw people on the strength of an impressive schedule of musical acts. Metallica will be playing there despite the fact that the rest of the shows on its tour will be held in large football stadiums. But without the presence of a major professional sports team, it will be an uphill climb for the new Coliseum to make a profit. In 2015, the Nassau Coliseum’s operator owed $6 million to the county. That was with a professional sports team able to fill up at least half of the arena. The new arena will hold fewer seats for concerts. The Coliseum will be open once again, but the question to be answered is: To whom? For the early part of this football season, the NFL and the television networks saw adversity for the first time in a while as ratings took a significant blow. As recently as 2015, it was common for a regular season National Football League game to get over 20 million viewers. According to sportsmediawatch.com, the lowest rated NFL game of the season was the Oct. 23 contest the Los Angeles Rams and the New York Giants played in London. The matchup drew just a 2.4 rating with an estimated 3.7 million viewers. Thirteen weeks into the season, some of the lowest ratings came in primetime including a 3.2 on Oct. 27 (Jacksonville-Tennessee), 3.6 on Nov. 3, (Atlanta-Tampa Bay) and a 3.5 on Nov. 10 (Cleveland-Baltimore). Jeff Capellini, a columnist for WFAN.com/CBSNewYork, believes that the oversaturation of the sport is a detriment to the ratings. He said objections to how the NFL responded to domestic violence allegations against players and reactions to players who kneel during the playing of the national anthem as a protest gesture may be a factor in low ratings. Such factors have turned some people off to the NFL, Capellini said. The NFL has turned into a sounding board for agendas which Capellini says the average fan wants no part of. “They simply don’t want their viewing experience infringed upon,” Capellini said. A network source, who asked not to be identified, says the ratings drops definitely have been noticed. The executive said research showed the presidential election played a huge part in the declining number of viewers watching football. The first presidential debate was held on Sept. 26 when there was a Monday Night Football matchup between the Atlanta Falcons and New Orleans Saints. The game drew just a 4.8 rating with 8 million viewers, the lowest rated Monday night game of the season. Richard Deitsch, a sports media writer for Sports Illustrated, also said that the election had a significant impact on the number of viewers watching NFL games in primetime. “You have to presume of the NFL’s primetime viewers morphed over to election coverage,” he said. On Oct. 9, the date of the second presidential debate, the New York Giants faced the Green Bay Packers. They drew a 9.0 rating and 16.6 million viewers, the second worst of any Sunday Night Football game aired all year. Deitsch also said the drop in ratings stemmed from the low quality of games. Peyton Manning retired after last season and star quarterbacks Tom Brady and Tony Romo were out. That had an impact on the first few weeks of the year. “The only people who have impact on ratings are quarterbacks,” Deitsch said. Then there is the grind of intense competition, the clashes that the NFL promotes so heavily in its advertising. Some other elements Deitsch said have an impact on ratings are officiating and fantasy football. The fantasy aspect plays to viewers whose favorite teams are out of a playoff hunt but who still tune in to other games to keep up with players on their fantasy teams. The NFL was also going up against an exciting, seven-game World Series. J.A. Adande, the director of sports journalism at Medill School of Journalism at Northwestern University and a personality for ESPN, said that didn’t help the league since there are only so many hours in a day people when can be exposed to sports. Adande said there were not enough compelling games early in the year which, along with lack of personalities, hurt the audience size. Football continues to be heavily watched, but Adande says there is an oversaturation with so many games televised on different days and in different time zones. That does more harm than good. Adande says that teams with a national following such as the Pittsburgh Steelers, Dallas Cowboys, and Green Bay Packers are relevant when it comes to certain markets around the country. While the league has seen ratings bump as the final weeks of the season and the playoffs approach, the ratings drop could have an impact on decisions for future seasons. The NFL is exploring cutting down on commercial breaks, shortening the halftime break, streamlining play-review system as possible ways to hold viewers. Adande said that ratings don’t call for panic, but that they won’t return to when they were at their peak. “The NFL will remain a valuable product with all the storylines,” he said. When Carlos Espinal planned to bring the flavors and cuisine of Lima, Peru to Mill Basin, Brooklyn, he had high hopes of opening his new restaurant by the end of 2013. But instead, he opened Lima in June 2014, 15 months after the project started, an elongated start-up because of contract permits, regulations, incomplete inspections and unexpected violations. Espinal thought he could turn to the city Department of Small Business Services and the Department of Buildings for help and guidance, yet he found himself completing the project alone. According to a report by the Mayor’s Office of Operations and Department of Small Business Services, New York City has over 6,000 laws and requirements and over 250 business-related permits that entrepreneurs must abide by. With 98 percent of all business classified as small businesses, city government does not deny that the journey to launch a small business here is more than likely a long and strenuous one. As a result, Mayor Bill de Blasio announced Small Business First in July 2014, an initiative to help hundreds of thousands of small businesses in New York City open and strive in the private sector successfully. However, there is doubt that an effort to streamline city agencies, in order to benefit small businesses, will be as helpful as projected in the end. The $27 million investment through fiscal year 2019 is aimed at helping entrepreneurs comply with permits and regulations both in person and online, with consolidated access in order to streamline the process of getting businesses of all types up and running. In conjunction with over 15 city agencies, the Small Business First executive report highlighted 30 recommendations under such headings as “provide clear information with coordinated services and support,” “help businesses understand and comply with city regulations,” “reduce the burden imposed by complex regulations and fines,” and “ensure equal access for all business owners.” City officials, advocates, and small business owners provided the recommendations in order to coordinate what small businesses need the most. The plan launched an Online Business Portal, where business owners can obtain city documents and checklists of regulations by business type and industry. The portal can be personalized to the owner to increase knowledge of specific requirements to avoid violations. The portal can be obtained from a computer or mobile device. The Small Business First initiative also announced a One-Stop Business Center to those who prefer not to complete criteria online through the Online Business Portal. Rather business owners will potentially be able to consult with a client manager on a one-on-one basis. The aim is to get help with scheduling inspections, resolving violations and further paperwork or questions. The report says that the availability of the center will rely on its success in initial stages. City officials hope to reduce the time required for business to open or work by 50 percent and reduce repeat violations by businesses by 10 percent. Espinal is apprehensive about this new action, recalling that the city didn’t seem to be on his side as he opened Lima. “If the city wants to help the small businesses by expediting the process of getting their permits, by expediting the buildings department to come faster to see approvals and give final inspection, I really don’t know if it’s possible,” he said. It may be hard for the city to change, according to John Frankenstein, a business professor at Brooklyn College. He finds that the city bureaucracy may have too many interests getting in the way of prioritizing this initiative for small businesses. Big cities across the globe seem to face this challenge, he said. Espinal began construction in March 2013 with an estimation that his Peruvian restaurant would open in three months, but he gave the project nine months to complete in hopes of avoiding disappointment. The space previously housed a flower store, but was violation-ridden–unbeknown to him. When throwing away garbage, Espinal was accused of working without a permit, initially halting work for three months with no ability to pull and apply for future permits. With construction close to completion, Espinal added, scheduled inspections with the Department of Buildings were cancelled and delayed numerous times. Even with an architect to help with the process, he eventually found himself at a loss both emotionally and financially. His staff was already hired and prepared for opening, giving prior jobs two weeks’ or even a month’s notice. Frankenstein added that these types of services are available and successful in other parts of the country, including Arizona, which streamlines different city departments, using technology to process different needs and requirements.